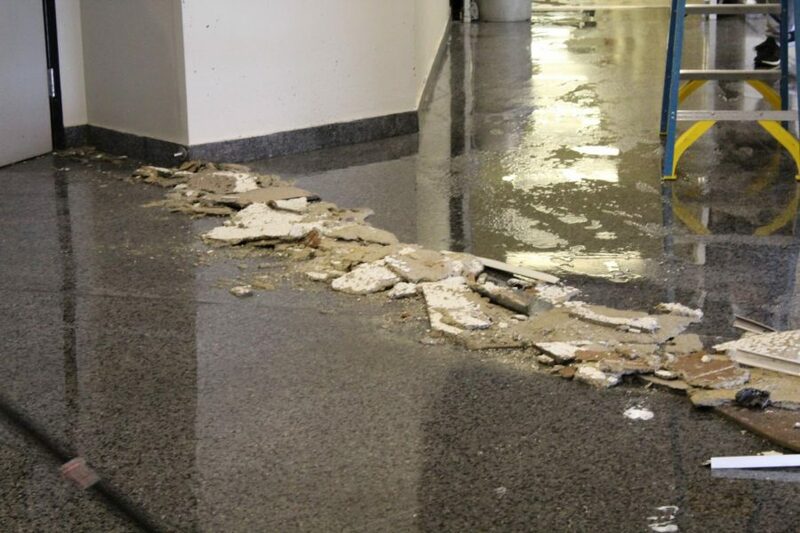 A pipe burst from the ceiling outside Greaves Concert Hall in NKU's Fine Arts building, Jan. 31, 2019. 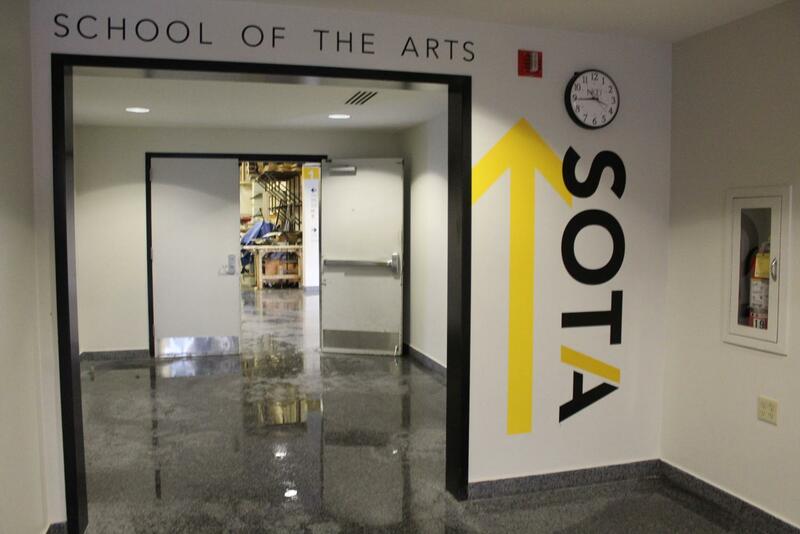 A pipe burst on the first floor of NKU’s Fine Arts Building Thursday afternoon. Classes were moved because of the burst but were students were cleared to move back into the building by 3:40 p.m., per an NKU SOTA tweet. The sprinkler line should be repaired in a few hours, according to Director of Safety and Emergency Management Jeff Baker. It is not known at this time what caused the pipe to burst.